Chick-fil-A Fruit Trays and oranges combine to make a frigteningly nutrious snack. 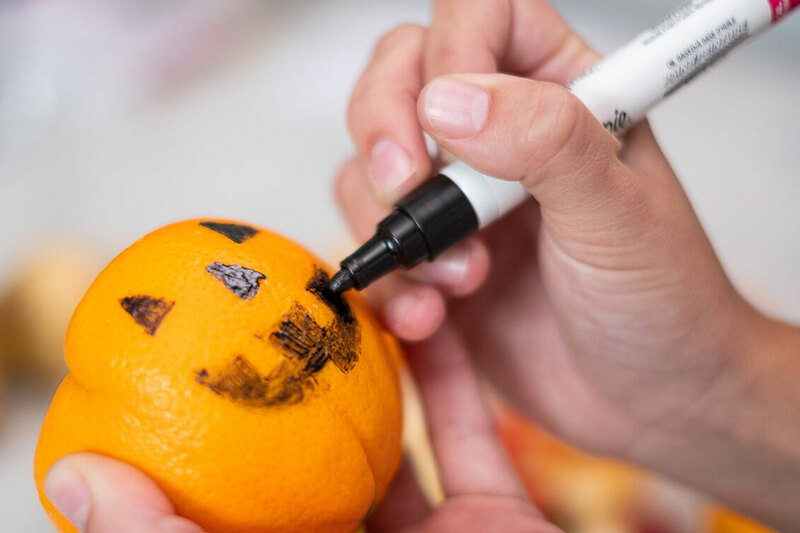 How do you get kids to eat something nutritious on Halloween? Make it fun and festive! 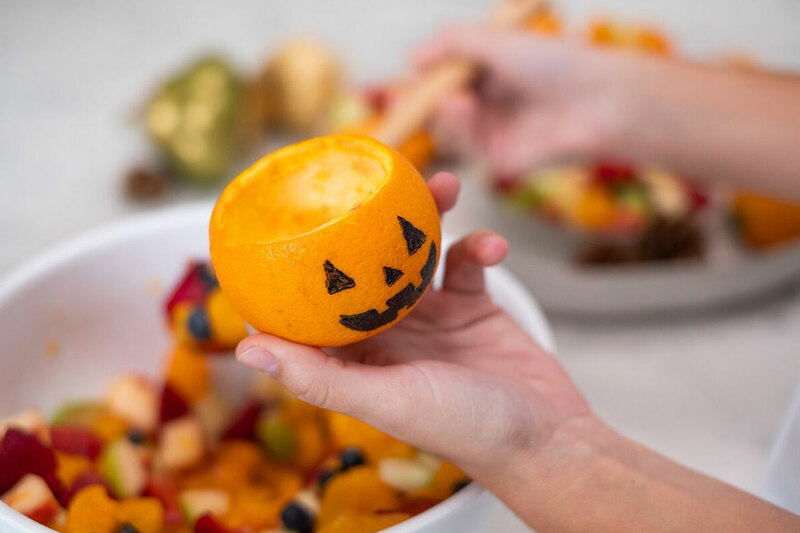 In just three steps, we’ve combined a Chick-fil-A Fruit Tray and carved out oranges for a simple and fun way to serve fresh-cut fruit. Complete your Halloween spread with two more treats made from Chick-fil-A Catering: Mummy Strips for a hearty snack and Chocolate Chuck Vampire Teeth to satisfy the sweet tooth (or fangs!). Calling all No. 1 sideline fans, pre-game snack preppers and game-day chauffeurs – it’s time to celebrate your young athlete’s season of hard work (win or lose!) with a post-season sports celebration. This Halloween, transform the already delicious Chick-fil-A Chocolate Chunk Cookies into a monstrously good treat! No, this is not a trick. All it takes is a small cookie tray, a bag of mini-marshmallows and icing.